Sneaking a peek through a hole in the chicken tractor. 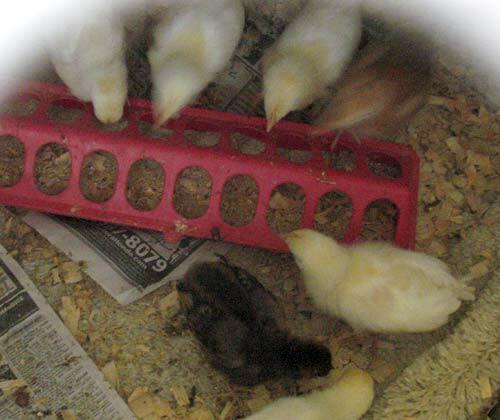 Chicken food is in the red tray. The little chicks are growing fast. On my next visit, they were sporting wing and tail feathers. 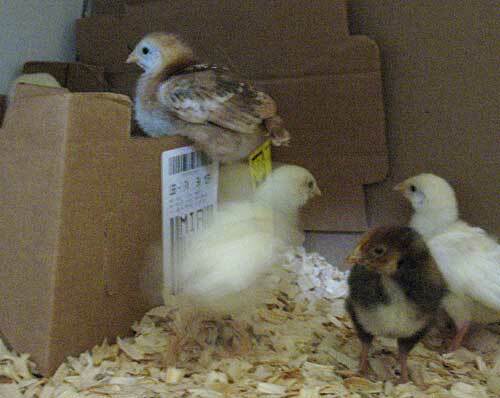 They actually look like little birds now, and a lot less fluffy. They scurry around a lot, very quickly, almost too fast to be photographed without flash.They also still peep a lot, constantly. Hurrying back to the sleeping box to hide. When my camera, that glass-eyed cyclops, drops in to visit them in their tractor, they promptly hurry to the relative safety of their sleeping box. They are getting “hoppy” and can jump up to the top of their large water bottle. Have to be careful when I open the lid to the tractor, so a chick doesn’t hop right out and scurry away. 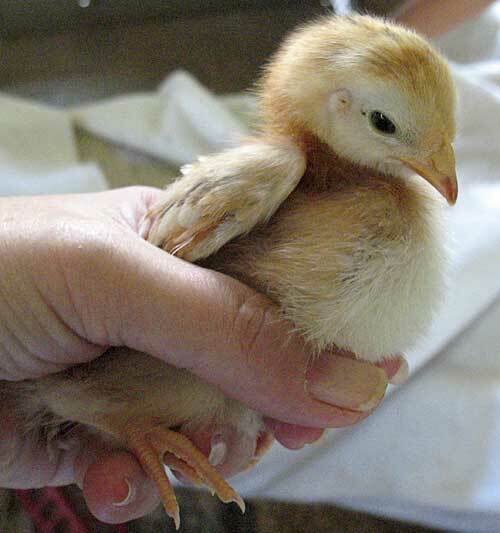 Baby chicks need a lot of petting to get them socialized. That’s a fun job, which I like to do.